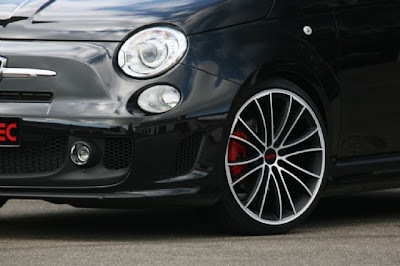 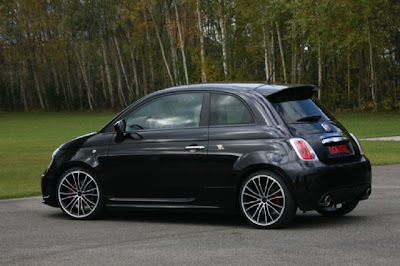 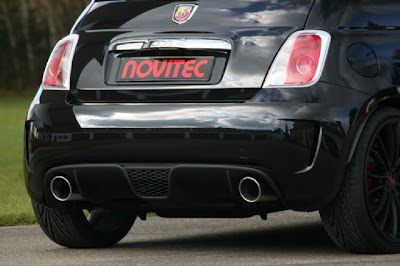 NOVITEC is a German based tuning firm that is known for modifying Italian cars. 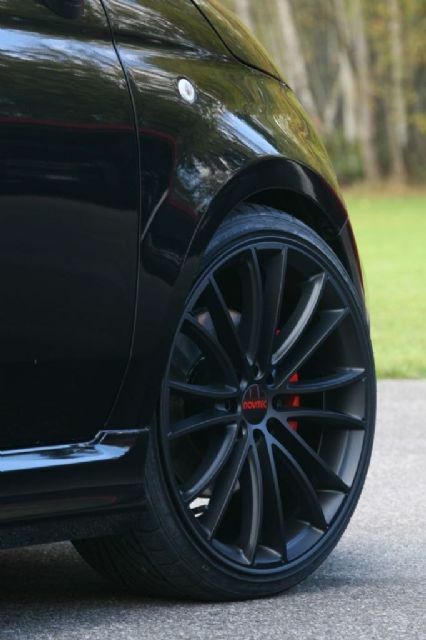 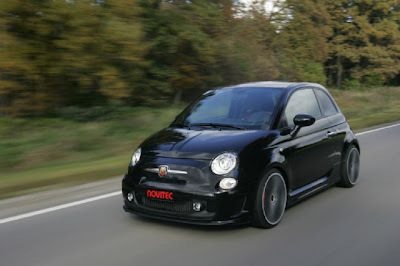 Whether they are Ferraris, Alfa Romeos or Fiats, NOVITEC tuned cars are known for their high performance, drivability and understated good looks. The NOVITEC NT4-CORSE tuning kit boosts power of the turbocharged 1.4-liter four-cylinder engine to 212 hp / 156 kW. Maximum torque grows from standard 206 to 325 Nm at 3,400 rpm. 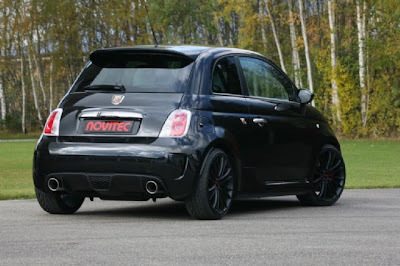 Thus equipped the tuned Abarth 500 will accelerate in just 6.8 seconds from rest to 100 km/h and will reach a top speed of 223 km/h. With or without engine tuning: the NOVITEC stainless-steel sport mufflers and high performance exhaust systems, available with one or two tailpipes in various shapes, lend the Abarth 500 a more exciting rear appearance, a more powerful engine sound and optimized performance. 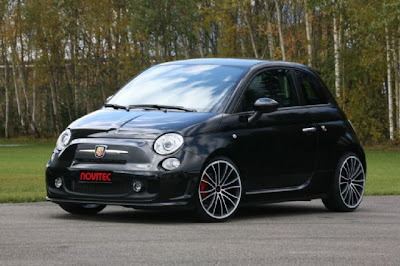 NOVITEC also adds even more sporty character to the suspension of the turbocharged model: Abarth 500 customers can choose between NOVITEC sport springs, which lower the ride height by some 35 millimeters, and the height-adjustable NOVITEC sport suspension made from stainless steel. The latter includes somewhat stiffer gas-pressure shocks and gives the top-of-the-line model of the 500 range even more agile handling characteristics. 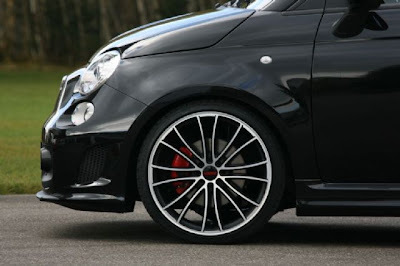 Hammann a German upmarket builder of BMW's will supply a completed car for $43,000.00 but you can only import it if you have $89,000.00. 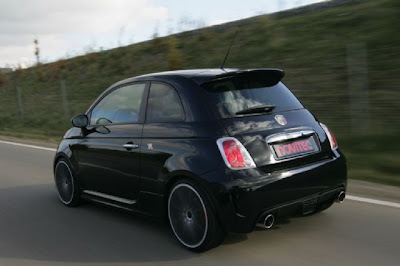 You can't drive it on public roads except to special "events." Per Federal import laws, you can never sell the car you must send it back to the country where you bought it when you are done with it.